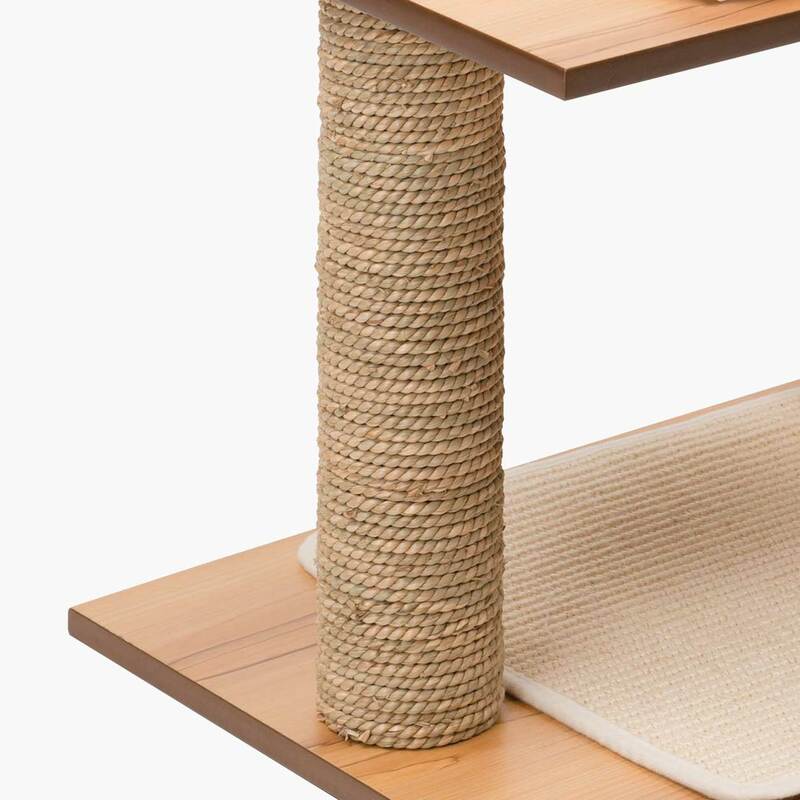 The rattan ball toy is great for playing and chewing, while the sturdy seagrass post helps your cat keep its claws in tip-top shape. 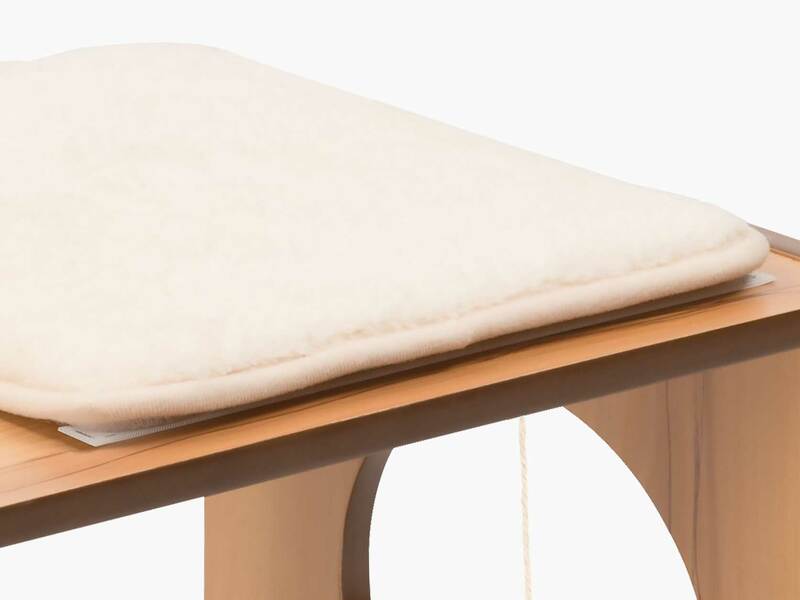 The Vesper Stool is made of high-quality MDF with scratch-resistant surface. 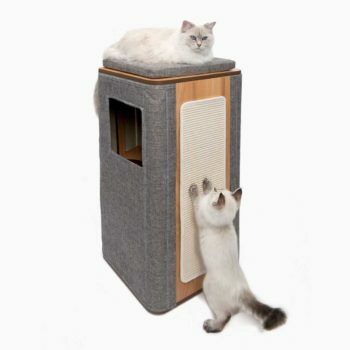 The Vesper scratching mats are made out of high-quality sisal for a great scratching experience. 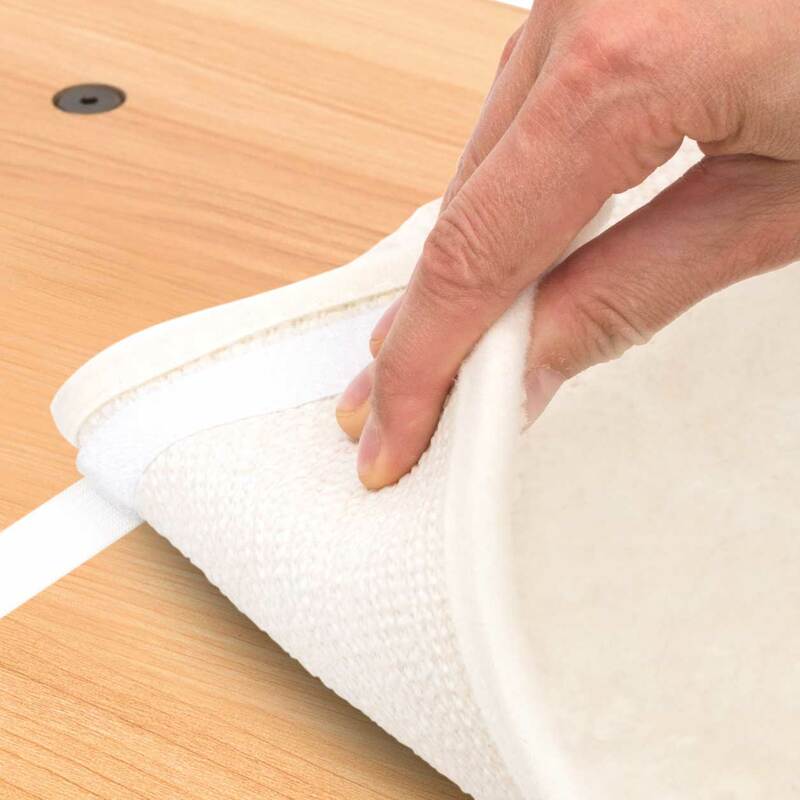 In addition, the mats have been bordered to prevent fraying. 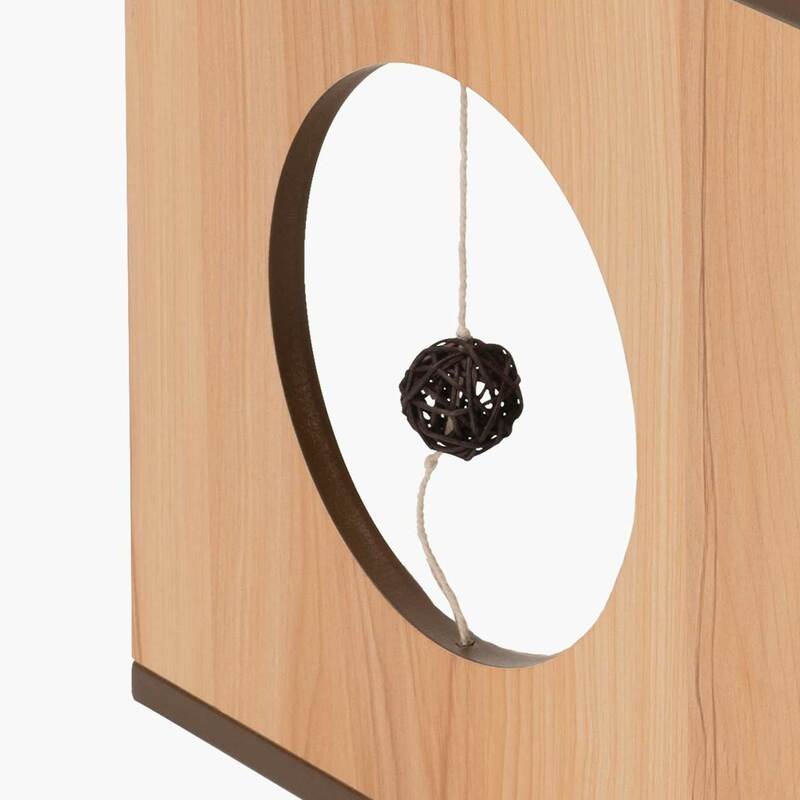 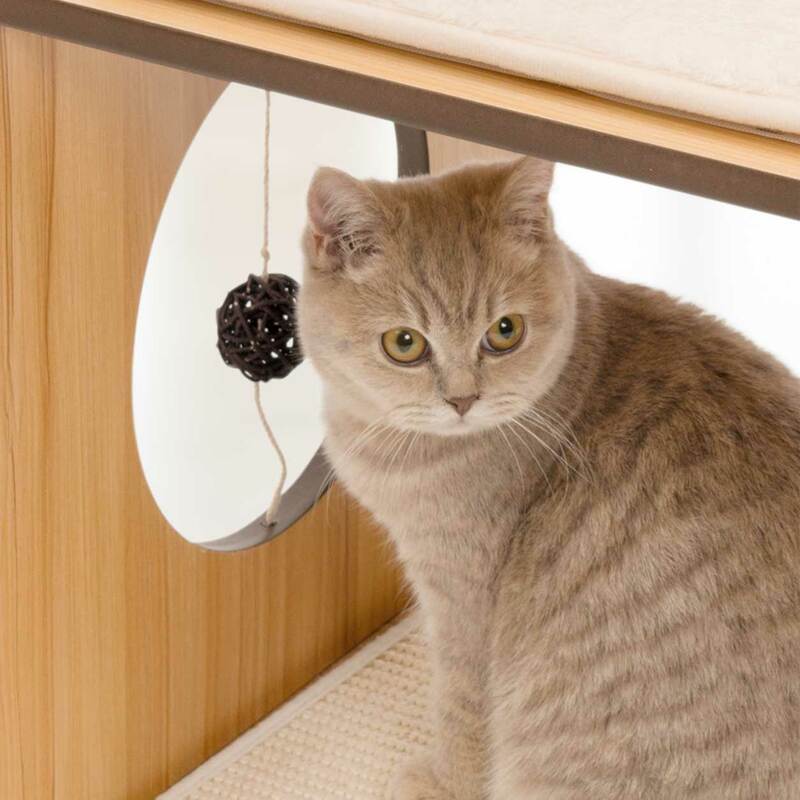 The Vesper Stool comes with a ball toy to entertain your feline. 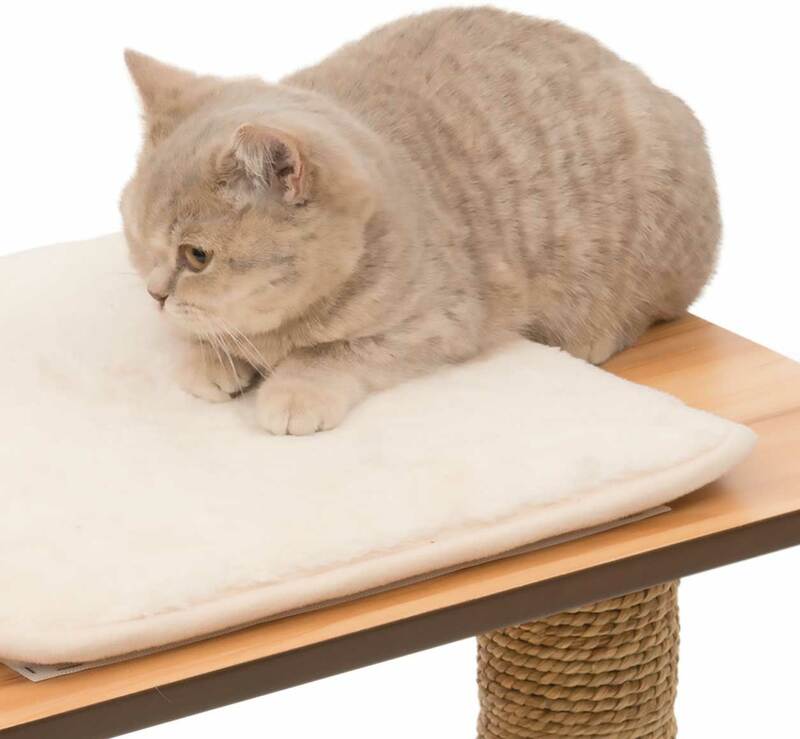 The ball itself is made of rattan, a natural material that is safe for your cat to chew on. 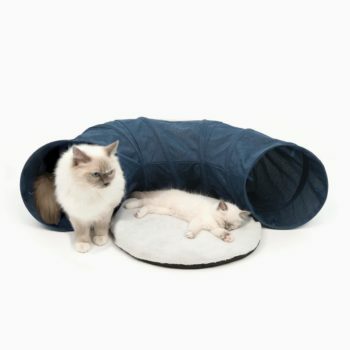 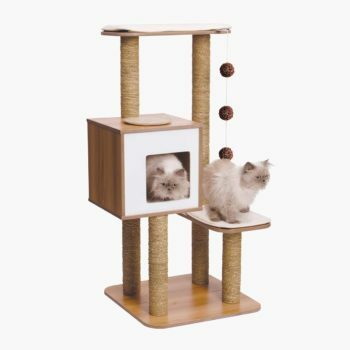 The toy clicks into place with a safety closure so your cat cannot get itself hurt. 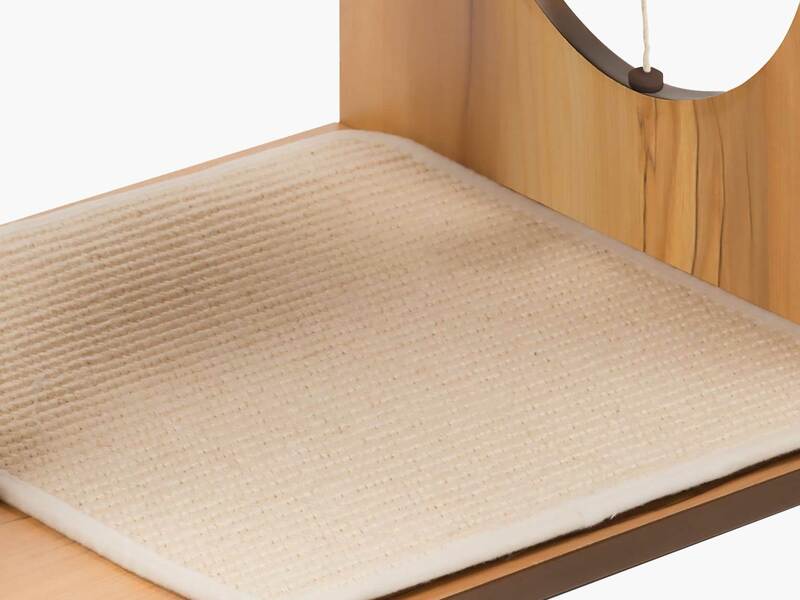 How do I assemble my Vesper Stool?